A lot of people are excited about Dean & DeLuca coming to Manila, with their first store opening in Edades next month. The upscale grocery chain has become a New York institution, spreading all over the United States and abroad, drawing comparisons to Whole Foods. Because we are way too ecstatic about all the stuff we could possibly get our hands on, we decided to share a list of some of the things Dean & DeLuca stock that we hope will make it to their Manila branch. 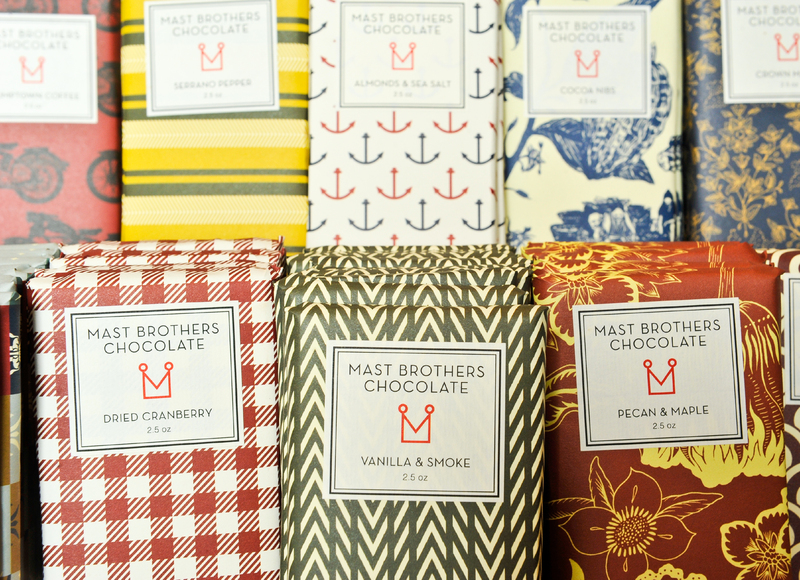 The name Mast Brothers is synonymous with artisan chocolate; ever since 2006, the brothers have created bean-to-bar chocolate, working with farms from Ecuador to Venezuela. Their small batch bars are meticulously made, paired with ingredients made from small farms and producers, making sure that the flavor combinations are stunning on their own. From sea salt, to almonds, to coffee, we’d love to finally have these chocolate bars in Manila. Since cocktails have become so trendy in Manila, we encourage making your own combinations at home and turning it into a hobby. Bitters are an important factor to alcohol alchemy, and Dean & DeLuca has a stock of delicious bitters on hand. We love Five by Five’s range for their versatility, and their aged citrus bitters seem like they’d balance out an Old Fashioned. While we’ve got our own candies that bring us back to our childhood days, Salt Water Taffy is nostalgic to those who grew up going to county fairs and carnivals abroad. It is sticky, soft and sweet, and a sheer delight to snack on. The Salty Road Taffy is world-famous for introducing tons of different flavors into the traditional mix, like peanut, peppermint, caramel apple, and even bergamot. If you’re having a hard time thinking about what to serve for dinner, then pray that Dean & DeLuca’s stocking some of Dr. Pete’s glazes. Pour it over any roast—chicken, ham or lamb, and it instantly turns into a crowd pleaser. Praline mustard might sound like an odd combination for some savory meats, but brown sugar and mustard will instantly caramelize whatever you’ve got cooking in the oven. Dean & DeLuca isn’t just known for grocery items; they have some pretty awesome baked goods and fresh produce on sale. 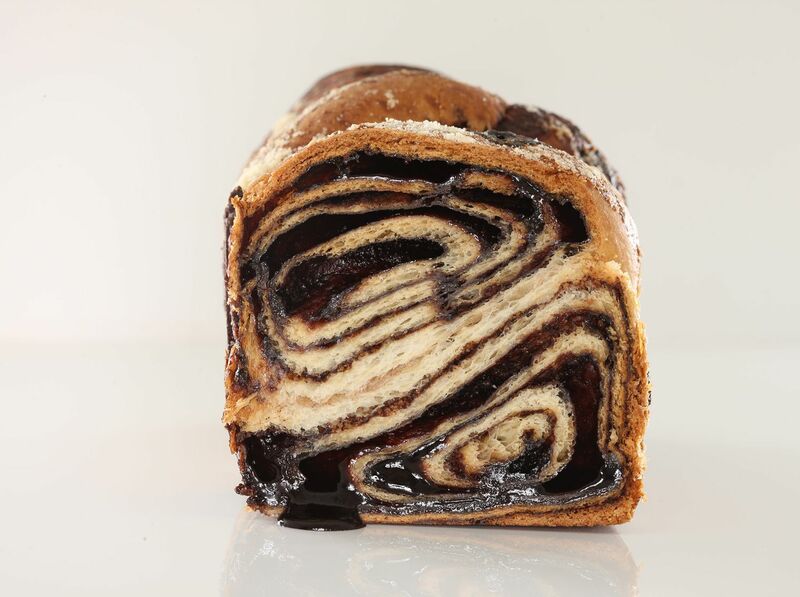 Their babka is either chock-full of cinnamon or chocolate, and always soft and doughy. The brioche-like bread is good all on its own, or toasted and served at breakfast with some strong coffee. Castillo de Canena’s smoked olive oil is the king of all olive oils for sure. It’s won a lot of awards and is impossible to get in Manila, but hopefully Dean & DeLuca stocks these beautiful blue bottles of liquid gold. Since 1780, Castillo de Canena has been making quality pressed olive oils, and this one, smoked and cold-infused with oak and organic wood, is so subtle and delicate, you can eat it all alone. To save you the hassle of using tons of vanilla beans to get both the flavor and aesthetic of natural vanilla, use dollops of the paste instead. It’s all-natural, so it doesn’t have the medicinal flavor vanilla extract sometimes has, and instead, has the natural sweetness of real vanilla. Heilala is an impressive company that remains family-run to this day, ensuring the quality and sustainability of their vanilla products. Buttermilk pancakes may be all the rage, but cornmeal pancakes have such a unique flavor and texture that go well when served sweet or savory. Dean & DeLuca’s blend is preservative-free too, and is made of stone-ground white corn meal. It’s easy-to-use too, with only an egg, water, and shortening needed to perfect them on a pan or griddle. New York is famous for, among many things, their hotdogs, and Brooklyn Hot Dog Company has been making waves since its inception. They’ve been featured everywhere from Food and Wine to Vogue, because their nitrate and filler-free dogs have all the snap you need from a New York sausage. Can you imagine cooking their Buffalo blend hot dogs and smothering them in chili con carne on your next cook-out? Rozendal’s farms have been around since 1913, but as a vinaigrier, their history is much more brief but just as storied. They have might have a limited range of vinegars, but their flavors are so distinct, that you can use them almost anywhere. The lavender vinegar is fragrant and aromatic enough to curb the harsh acidity of vinegar, making it ideal for salads and plain old bread. What’s on your Dean & DeLuca wishlist? Are you excited for its opening? Tell us with a comment below!